For every Michael Jordan there’s a Craig Ehlo. 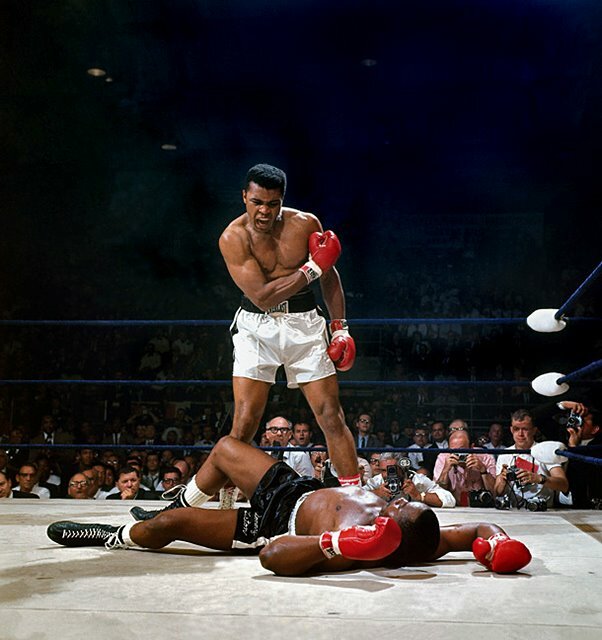 Muhammad Ali needed Sonny Liston to become Muhammad Ali. History remembers Alexander the Great but forgets Memnon of Rhodes. Great battles need two sides, no materr how one-sided they are. Since the most recent episode of The Ultimate Fighter aired on Tuesday, Uriah Hall’s MMA profile has been blowing up. Suddenly everyone is talking about the man who scored the most devastating knockout in the history of the show, if not the history of MMA. Hall has been inundated by calls and tweets and interview requests. MMA fans wonder where he’s been all these years. But what about the guy he knocked out? What about Adam Cella, the game striker from St. Louis who might very well do nothing in his fighting career quite as memorable as getting knocked out on a reality television show? Fightland: Was it strange watching yourself get knocked out on TV? How much did you remember? Adam Cella: I didn’t remember anything about it, so it was weird watching myself. I don’t remember standing up or talking to the doctor or walking out of the Octagon. I have no memory of anything until I was in the ambulance. I came to in the ambulance and I looked around and I thought to myself, “What is Jon Jones doing with me in an ambulance?” That’s when I figured, "Well, I guess I lost." When you were watching the replay, did it make you reconsider your decision to be an MMA fighter, considering the injuries you’re susceptible to and the danger of concussions? I’m not worried about injuries. I have so much fun fighting and I figure that’s the risk you take. So I don’t ever think maybe I shouldn’t be fighting because I could get hurt. It’s a sport that I love, and injuries are part of the game. I figure that’s what the sport is about. Besides, aside from the kick – which was pretty bad -- if you watch the fight I only took two or three small punches to the head. I don’t regret anything about my fight with Uriah. Well, I regret not keeping my hands up when he kicked my head. Were you injured for a long time afterwards? It’s funny I got to the hospital and I felt fine, actually. I didn’t feel that injured at all. I’ve gotten concussions before where I had a headache for weeks afterward, but this wasn’t like that. And because I don’t remember anything from that day, I was going on whatever all the commercials were saying: that it was the worst knockout anyone had ever seen. So I was pretty curious and kind of excited to see it. Then I saw it and it was a good knockout, but I didn’t think it was that amazing.